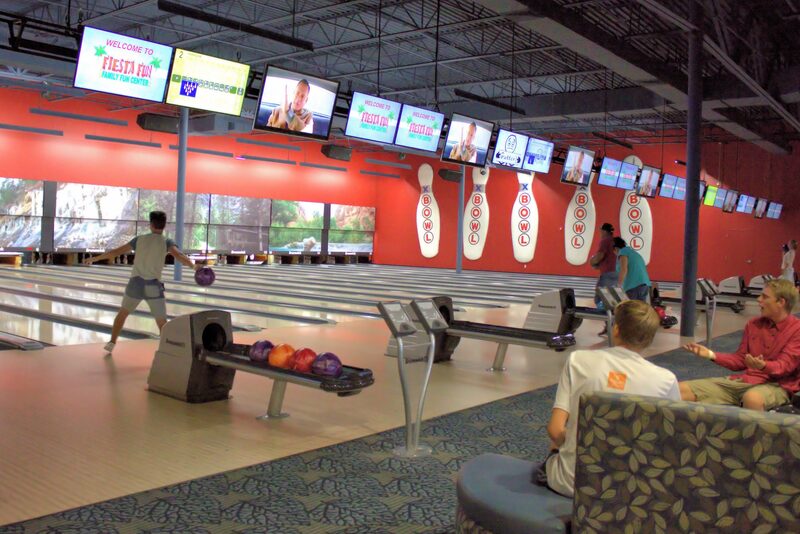 With 20 total lanes to bowl on, there’s almost always room for you and your family or friends! Book our exclusive B Lounge for private entertainment, bathroom, and comfy couches! 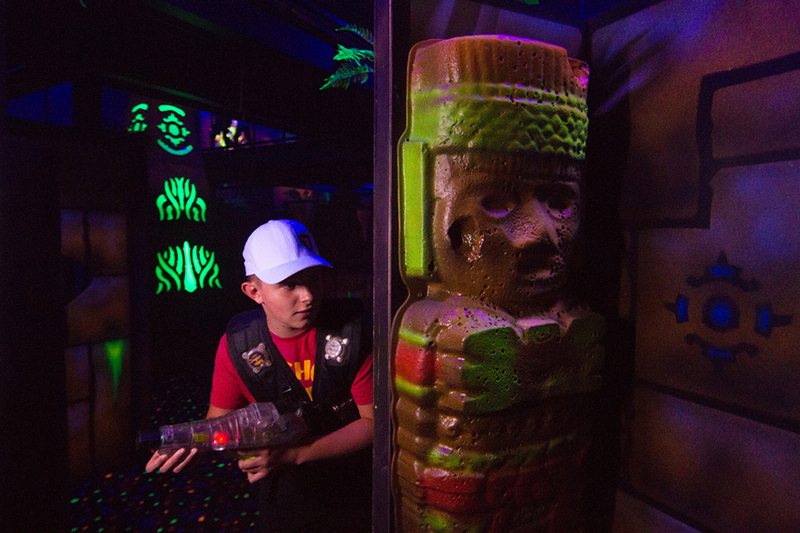 Come compete in our 4,000 sq ft adventure-themed laser tag arena! Or watch the action from our viewing room! 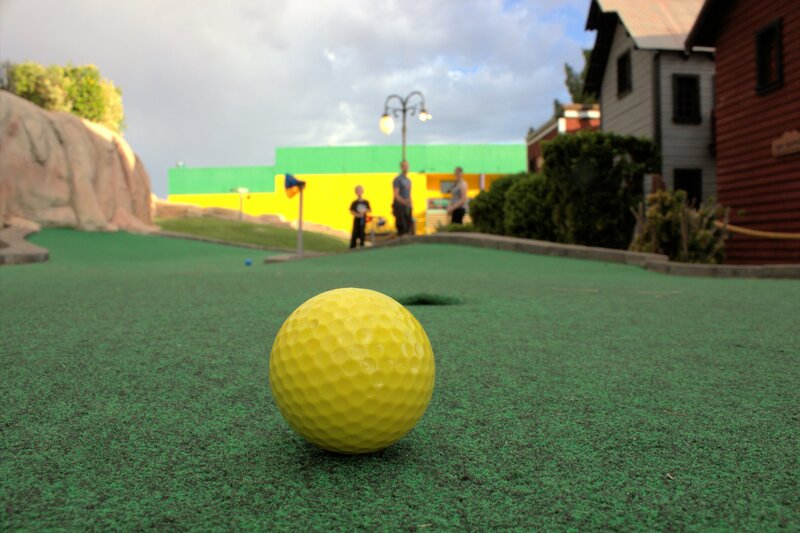 Choose between our two 18-hole courses! Will you go hang out with the bears on Grizzly Golf or enjoy the magical sights of Fantasy Fairway? Glide over the water in a watercraft equipped with your own personal water cannon! Soak your opponent from over 30 feet away. 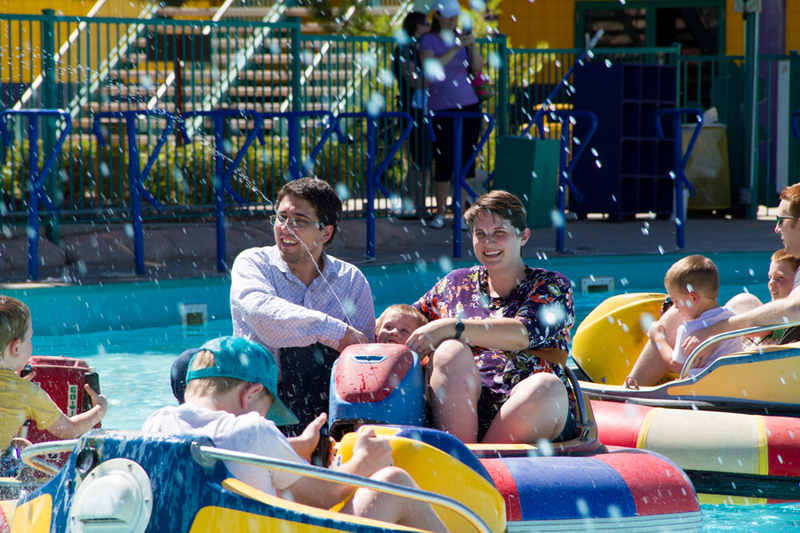 On our hottest days, bump another boat directly under the 10 foot Fiesta Fun Fountain! Don’t worry… someone is sure to return the favor. 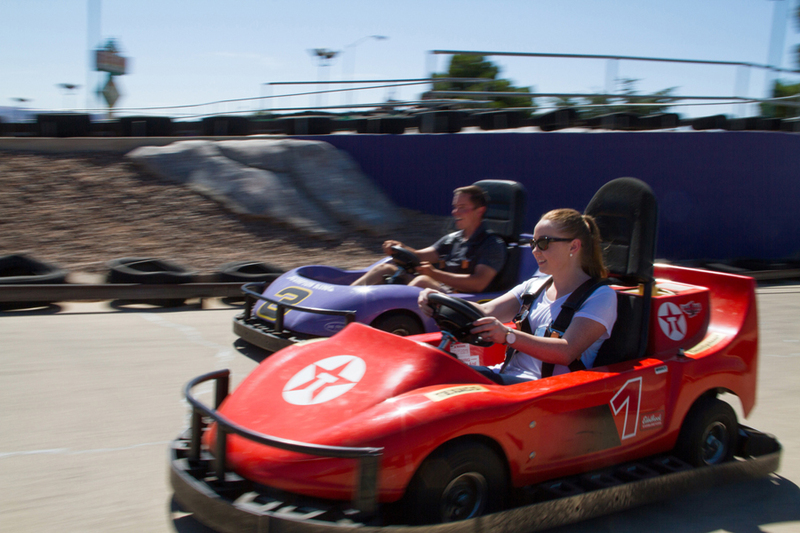 Tear up the track in a high performance go-kart on our two level track. Buckle up and enjoy the ride! 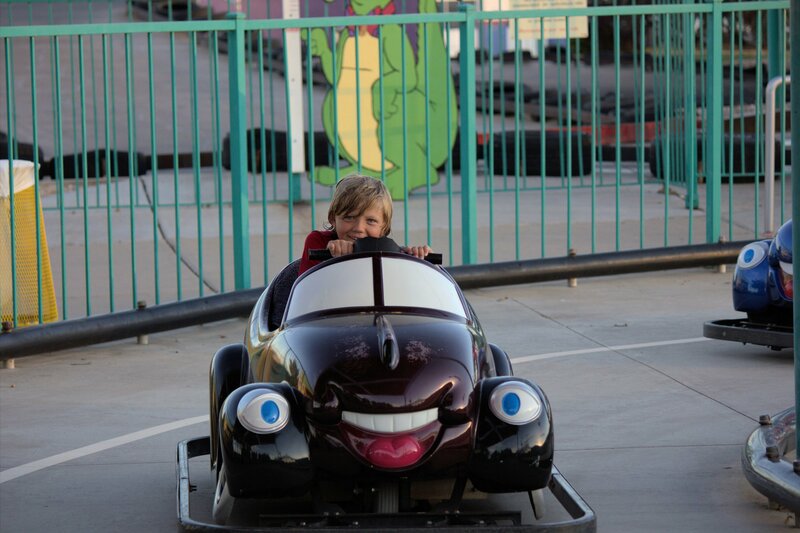 Our Kiddie Karts are just the right size for your little one. Even your smallest racer will get to experience the thrill of driving their very own car on a track made just for them! Our new batting cages now let you adjust your own personal height and speed! Hitting home runs has never been more fun! Add credit onto your Fun Card for arcade games and attractions! The minute you walk in the door you will feel the energy surround you! 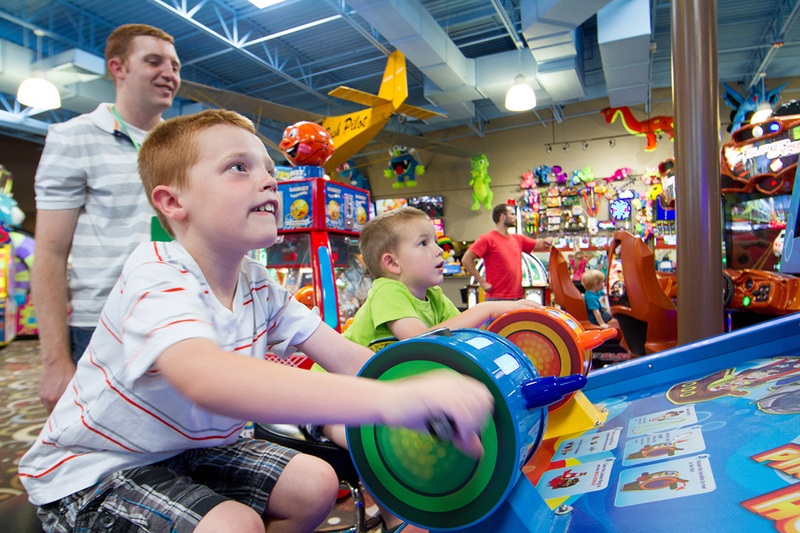 The Fiesta Fun Arcade offers a fantastic selection of the latest technology. Check out our newest addition… Monster Drop! As well as Face Place, a dance machine, air hockey, hunting and racing games, and ticket games. Having this much fun just isn’t possible on an empty stomach! 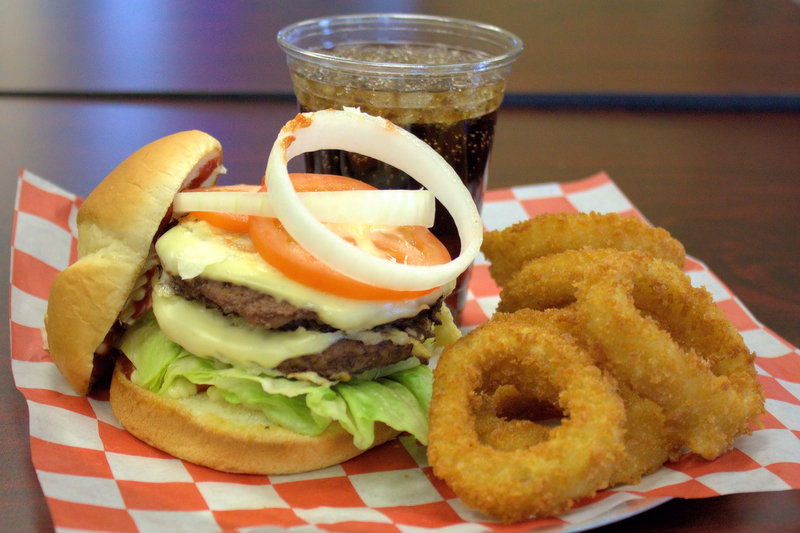 Pizza, burgers, fries, salads, wraps, desserts, and more!